I made this dish with my mom a couple of times and it turned out great! I hope you will enjoy this dish too. Festive beef curry cook on low heat with Aniseed(saunf) and plenty of other spices. Best serve with naan and Garnished with ginger, fresh green chillies, and lemon. 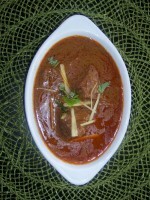 Beef Pasanda is a traditional recipe for a classic lightly-spiced curry of beef and onions cooked in yoghurt. 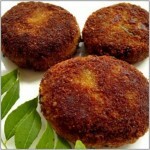 Beef marinated with flavored spices coated in egg and breadcumbs in a form of patty and shallow fried. 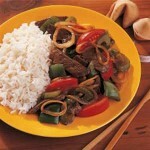 For a delicious, fast meal, try this flavorful beef dinner loaded with tomatoes and peppers. What a perfect recipe to use garden vegetables of the season! Sicilian thick crust pizza with thin roasted beef slices topped with bellpeppers, onions, mushrooms and provolone and parmesan cheeses. A very filling sandwich, great to make ahead of time and very delicious. Spicy Lamb chops cooked in minced meat along with yogurt and spicies. Minced beef marinated in hearty spices and simmered. Best served with boiled rice. This delicious kabab gets its name from the juicy, succulence of the meat used to make it. The meat gets this way due to the marinade. Serve in a curry of chopped tomatoes this dish works best for a party. This savory beef pie is so easy to make. 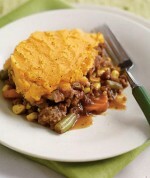 For added flavor, you could top the potatoes with a cup of shredded Cheddar cheese, if desired. Lamb, chicken or veg can be a substitute for beef.